Performing A Marriage Ceremony In Nevada? Nevada state law NRS 122.062 requires all ministers and wedding officiants to register for a Certificate of Permission to Perform Marriages prior to performing a ceremony anywhere in the state. For ordained First Nation ceremonial ministers residing outside of Nevada, we offer a special local endorsement which will permit you to register with the county clerk's office and perform a single ceremony in the state. Please note that you must already be ordained through First Nation to receive this endorsement! ❤ Click here to request Nevada endorsement. Please note that First Nation is not providing ordination or the local endorsement to permanent residents of Nevada at this time. Your NLE package will include the notarized affidavit and all state and local forms required to register in Nevada. It is a misdemeanor to perform a marriage ceremony without being issued a Certificate of Permission to Perform Marriages in the state of Nevada by a County Clerk. A Marriage Officiant approved to perform a single wedding in Nevada may only conduct the ceremony in the county where the Certificate of Permission to Perform a Single Marriage was issued. Any person seeking to obtain a Certificate of Permission to Perform a Single Marriage may not obtain more than five (5) authorizations per calendar year anywhere in Nevada. Please allow three to five business days for processing and issuing of notarized documents by the church, plus two to four weeks for processing by the county clerk's office in Nevada. * — The State of Nevada also charges an additional fee for registration, which is collected separately by the county clerk's office. PLEASE NOTE: This package is only available if you have received complete ordination from First Nation and require the Nevada Local Endorsement. If you have not requested or received ordination, please click here. Please be sure to click the SELECT button before continuing the process. Where will the ceremony take place in Nevada? 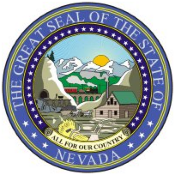 -- SELECT YOUR RESIDENCY STATUS -- I am seeking a Temporary Certificate of Authority as a non-resident of Nevada.